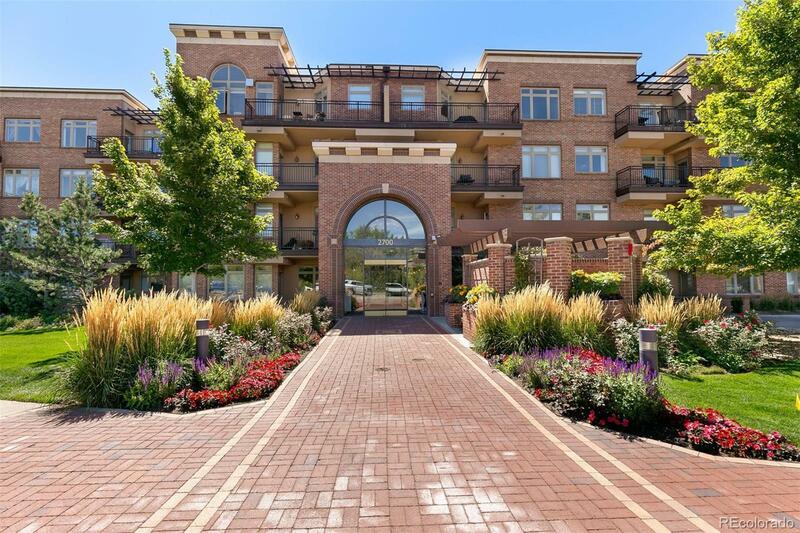 Sunny, top floor, south facing, cheerful, quiet unit only steps away from the Cherry Creek bike path, Mall and Luxury shopping district, you don't want to miss out on this one bedroom condo. Enjoy one level living in this light and open floor plan which has been recently renovated. The unit includes both a living and dining area adjacent to the kitchen which has stainless steel appliances. Washer and dryer also included. Breakfast bar and small eating area for dining room which has a cozy fireplace. Large bedroom with plenty of closet space. One reserved parking spot and storage unit located in the garage which is in the basement of the building, heated (including the driveway) and has an electric charging station. Club room, small gym, and large patio with BBQ grills for entertaining guests. Don't wait - Live Here! Association Name Primary: Accu, Inc.